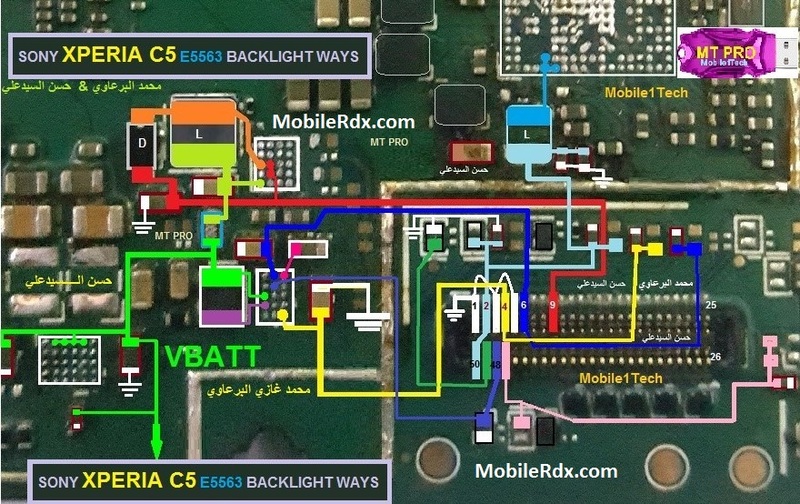 In Sony Xperia C5 E5563 Display has connected the motherboard with a cable connector. If your LCD is not working, you obviously have to check if a faulty LCD is not causing this problem. If the LCD is okay then check the LCD connector. If you ever already been tried to replace a new replacement LCD screen and new flex cable wire and nothing happens but the display problem still exists like black screen display, blue screen display, white screen display, garbled and saturated screen display. Sony Xperia C5 Ultra Dual smartphone was launched in August 2015. The phone comes with a 6.00-inch touchscreen display with a resolution of 1080 pixels by 1920 pixels. The Sony Xperia C5 Ultra Dual is powered by 1.7GHz octa-core MediaTek MT6752 processor and it comes with 2GB of RAM. The phone packs 16GB of internal storage that can be expanded up to 200GB via a microSD card. As far as the cameras are concerned, the Sony Xperia C5 Ultra Dual packs a 13-megapixel primary camera on the rear and a 13-megapixel front shooter for selfies. The Sony Xperia C5 Ultra Dual runs Android 5.0 and is powered by a 2930mAh non removable battery. It measures 164.20 x 79.60 x 8.20 (height x width x thickness) and weigh 187.00 grams. Before you may proceed, you need to make sure first that the flex cable and the LCD are working fine or you have it tried with new replacement installed but nothing happens. – Check the display pin connector, clean it, rework or re-solder it if necessary. For damaged or lifted display pin connector or due to wet or water damaged, here’s the tracing guide if you might think that the problem lies on a broken display signal line paths.